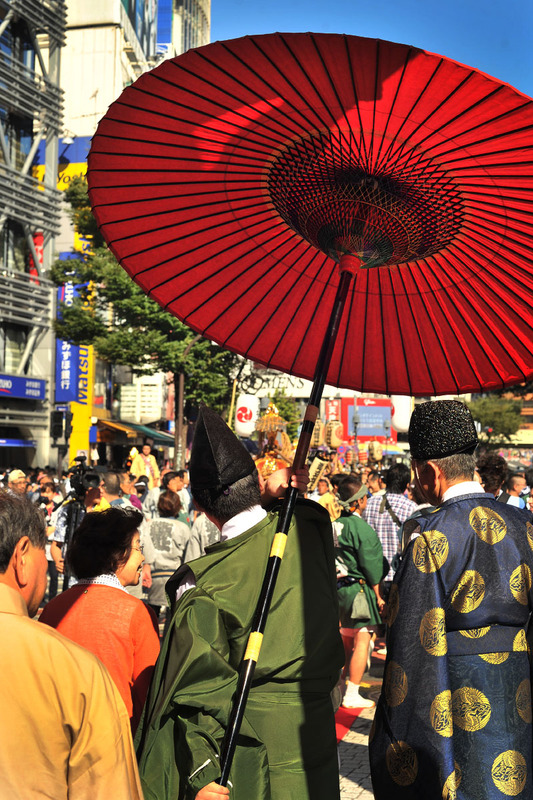 Sunday was the main day of the large Konnohachimangu festival, or the Shibuya festival. 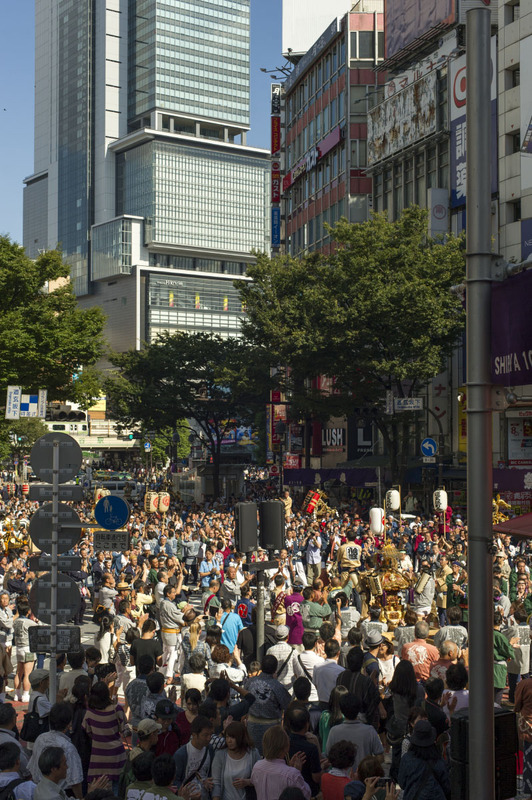 Lots of omikoshi (not as old as the one I blogged about yesterday) gathered for the main blessing ceremony right in front of the famous 109 department store just a stone’s throw from the even more famous Shibuya Scramble street crossing (arguably the center of Japan today). 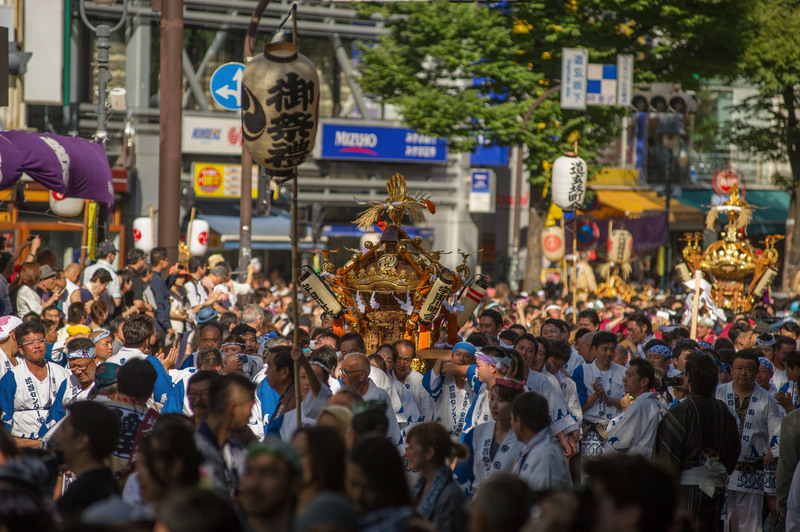 The streets were packed with the many different neighborhood omikoshi, and even though Shibuya is hardly a residential area these days there were plenty of volunteers from outside of the area as well. 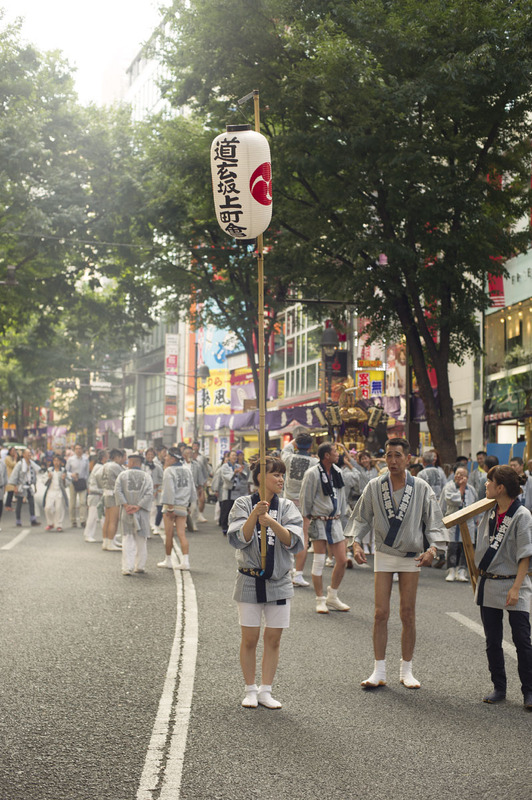 Although the main ceremony was over in a few minutes the omikoshi teams kept going for hours afterwards, all around Shibuya! 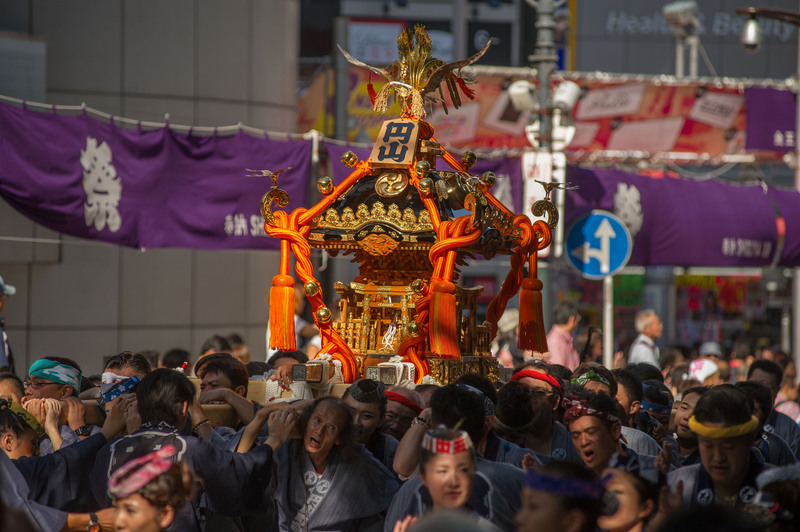 With all the festivals taking place in and around Tokyo you are bound to see dozens of different omikoshi, portable shrine that temporarily houses the kami or Gods, of the shrine during festivals. 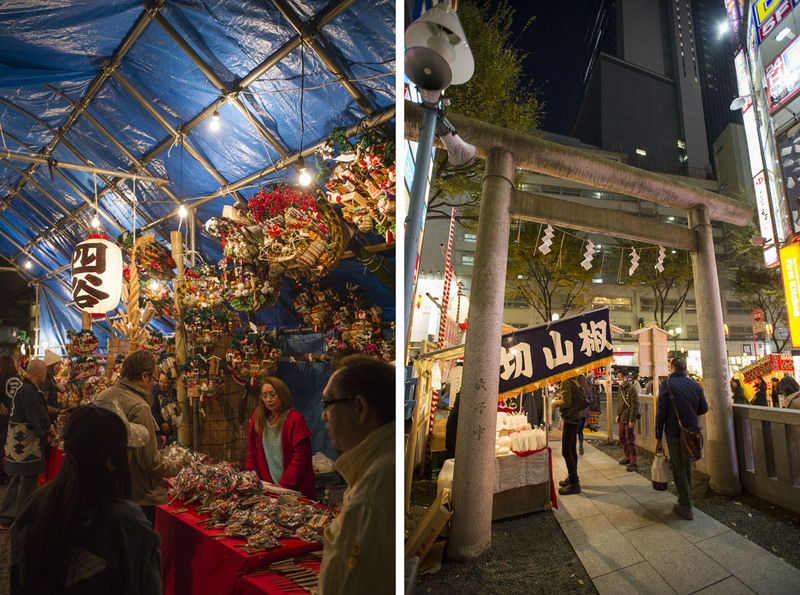 Every shrine worth its salt has at least one and sometimes up to a handful of these omikoshi. They are still manufactured by specialist artisans and obviously very expensive. 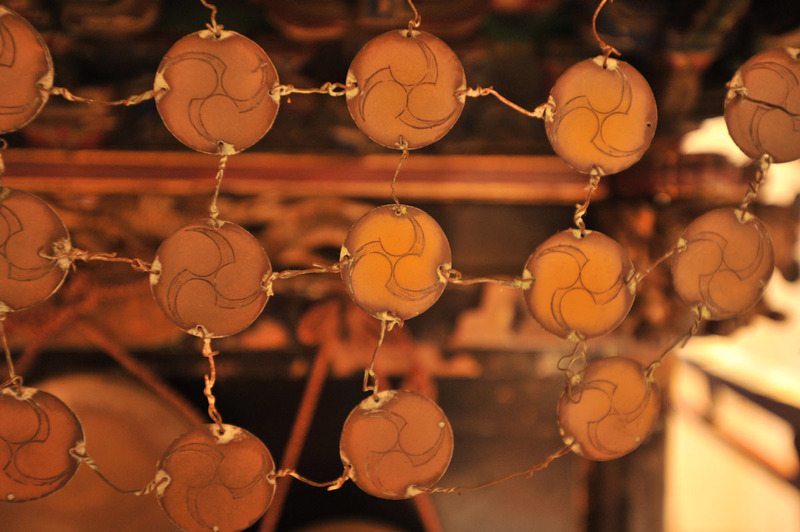 In a way these omikoshi represent the accumulated wealth of many generations of locals, which means that shrines can afford to add to their collection over time. 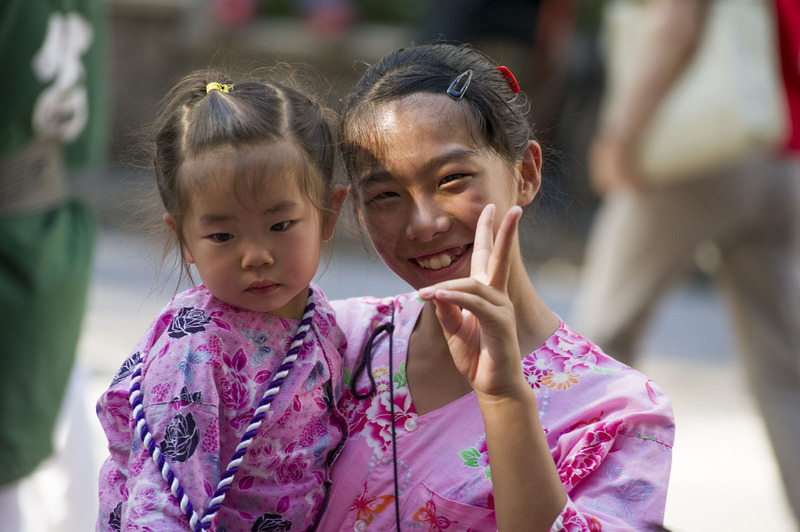 These days there are special omikoshi for children and I have even seen tiny ones for kindergartens. 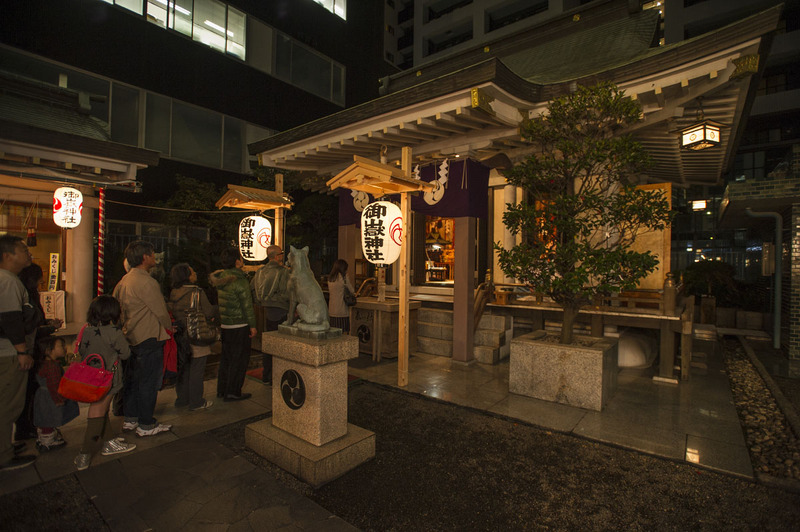 In the old days however omikoshi were still relatively rare and not all shrines had one of their own or even access to one (sometimes shrines can borrow omikoshi from neighbors if they do not have any of their own). 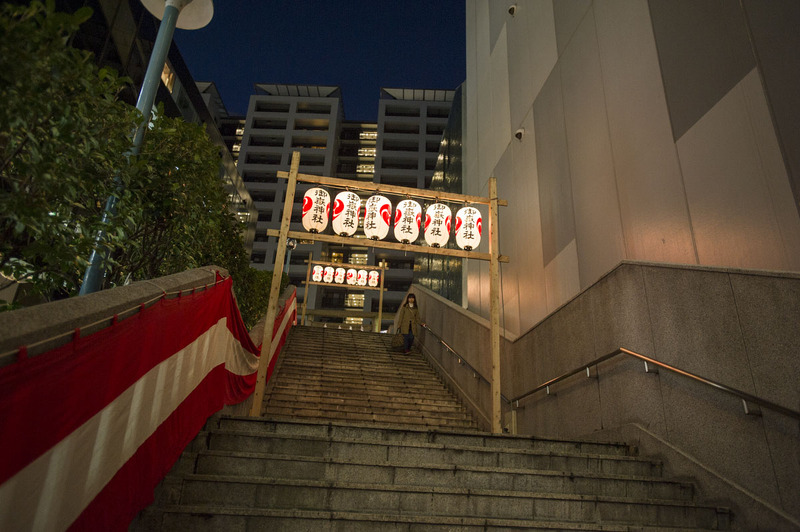 And here is where the interesting story on how the oldest omikoshi in Tokyo now resides with the Konnohachimangu Grand Shrine in Shibuya, where it is peacefully retired. 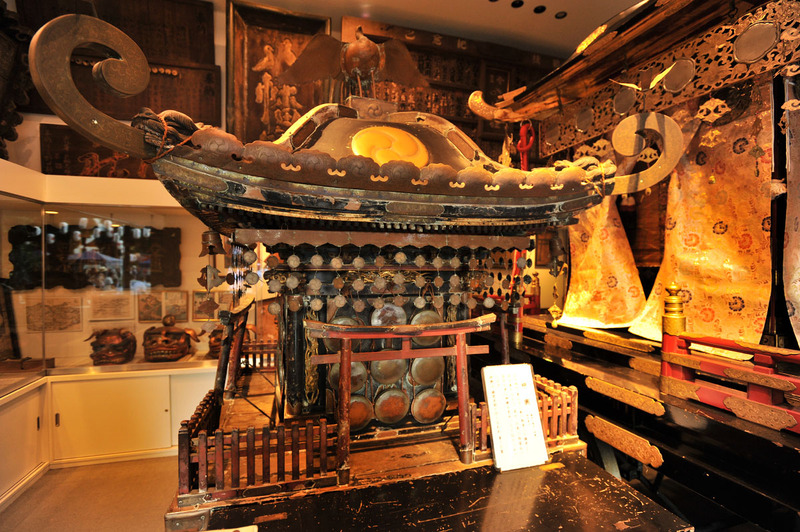 In the early Edo period (probably sometime in the early 1600s) the Konnouhachimangu still had no omikoshi of its own, despite it being a grand shrine. 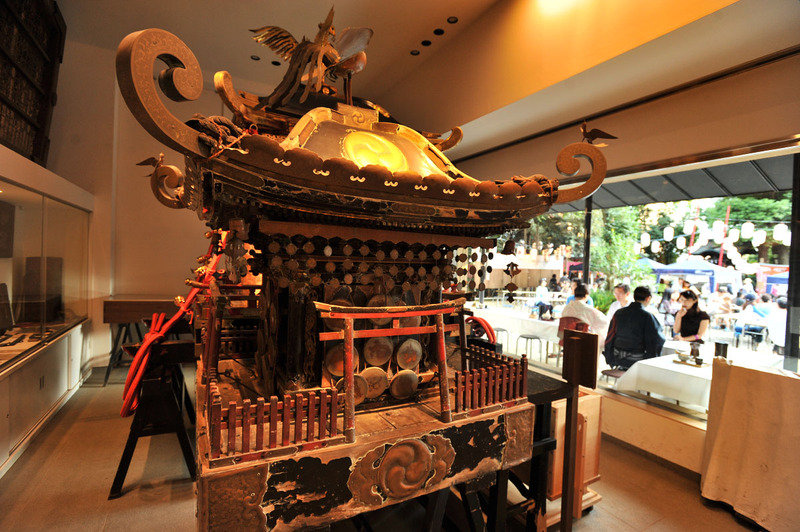 Another shrine of the same family, the Tsurugaoka Hachimangu in Kamakura (about 45km south-west of Shibuya) in the province of Sagami (modern day Kanagawa prefecture), however, famously had seven omikoshi of its own. 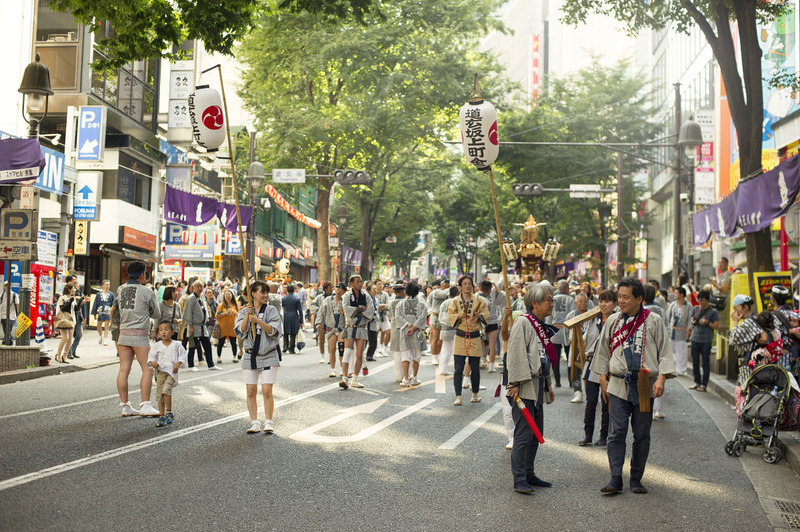 One summer, a group of young men from the Aoyama militia went down to Kamakura to help the Tsurugaoka Hachimangu with their annual festival, handling one of the seven omikoshi. 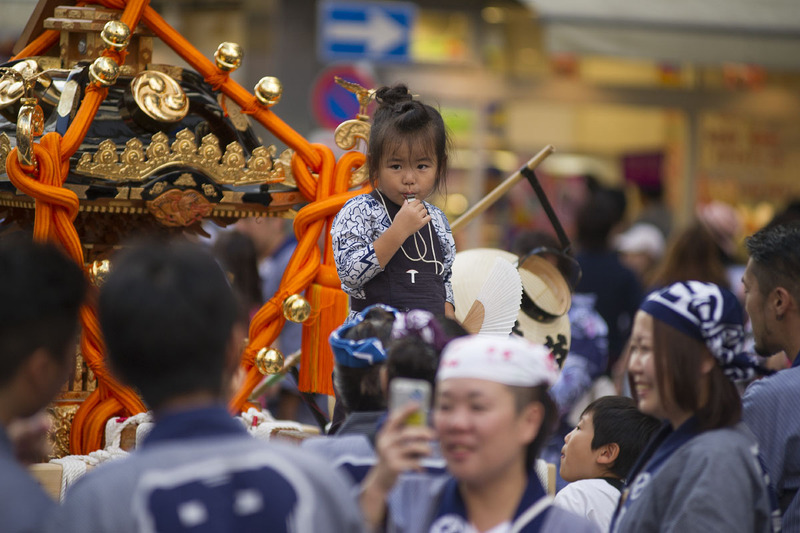 Their purpose was initially to plead with the shrine officials to let them borrow one of the omikoshi for the upcoming festival in Shibuya but once they arrived they got sidetracked by the food and the drink offered them by the locals in Kamakura. 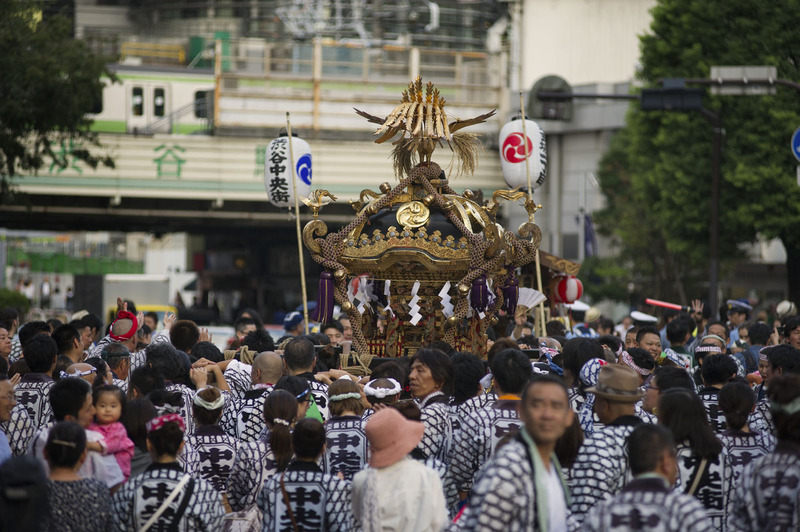 As drunk as they were, they decided to take one of the omikoshi out for a spin, but instead of doing the rounds and then returning to the shrine together with the other omikoshi for the final ceremony of the annual festival, they just kept going towards Edo. 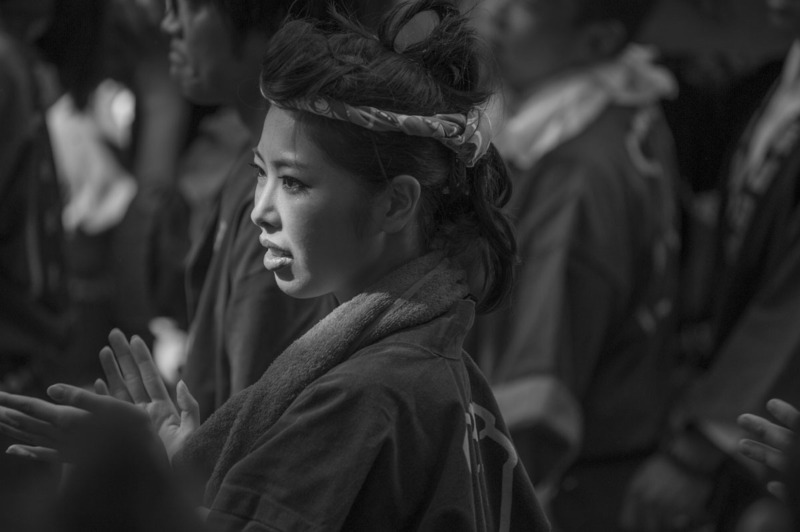 Even as night fell they crossed the border into Kawasaki and just kept on going through the fields, through villages over bridges and hills. 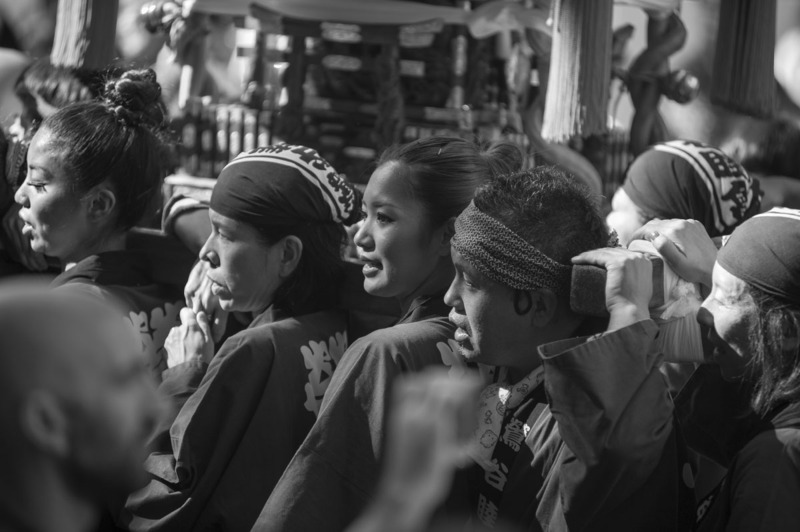 The shrine officials and locals in Kamakura eventually figured out that one of the omikoshi was missing and sent out runners to track it down. 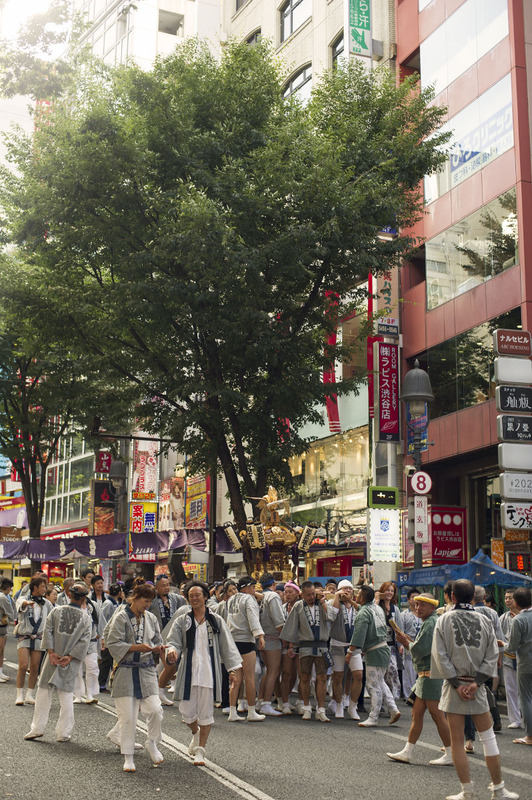 The runners soon found the tracks of the drunken men from Aoyama and set out to intercept them. 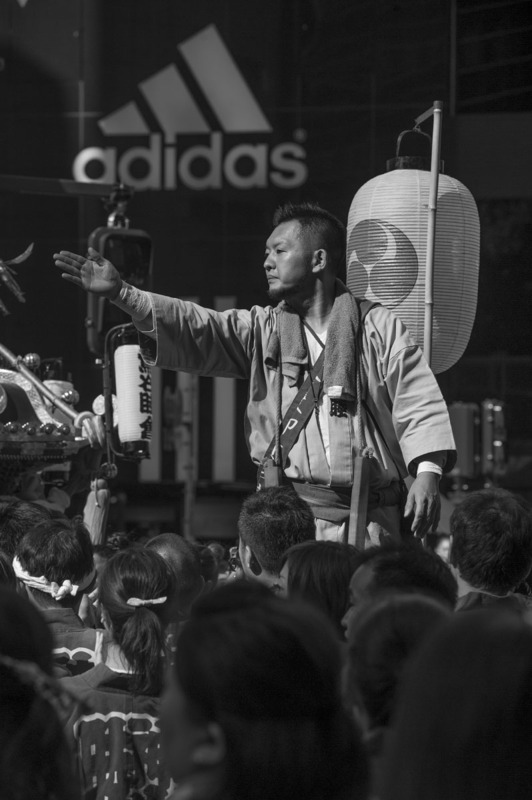 In those days there were naturally no street lighting and the road between Kamakura and Edo was only lit by the stars and the moon on the open streches and pitch black when it entered a forest or stands of bamboo. 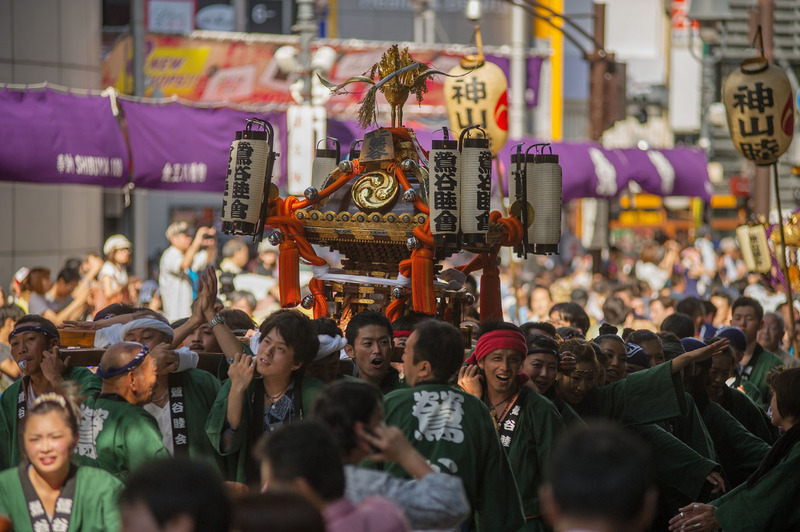 As the night wore on the men from Aoyama grew very tired carrying the heavy omikoshi, going through Kawasaki, over the Tama river and deeper into Edo, all the while chased by the angry men from Kamakura. 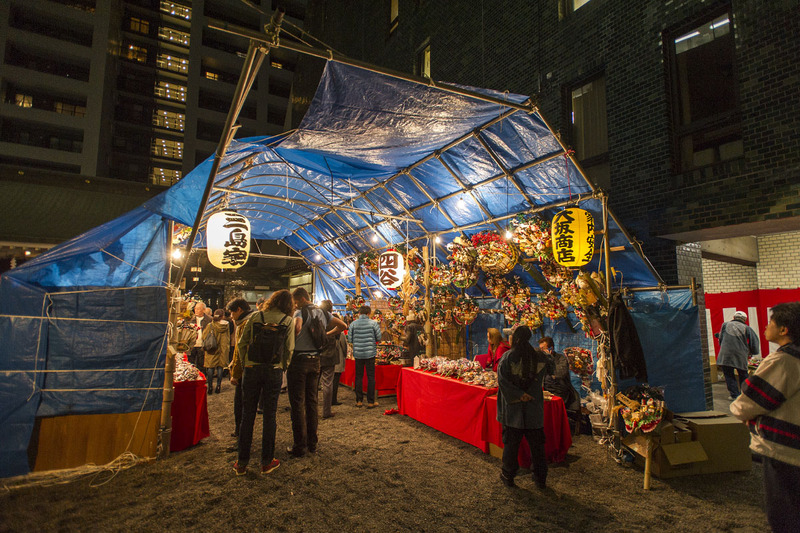 At the Meguro river they came to a slope known as the Kurayamisaka (which means Slope of Darkness) that was famous for being so dark at night that a traveler could not see even the road ahead of him. 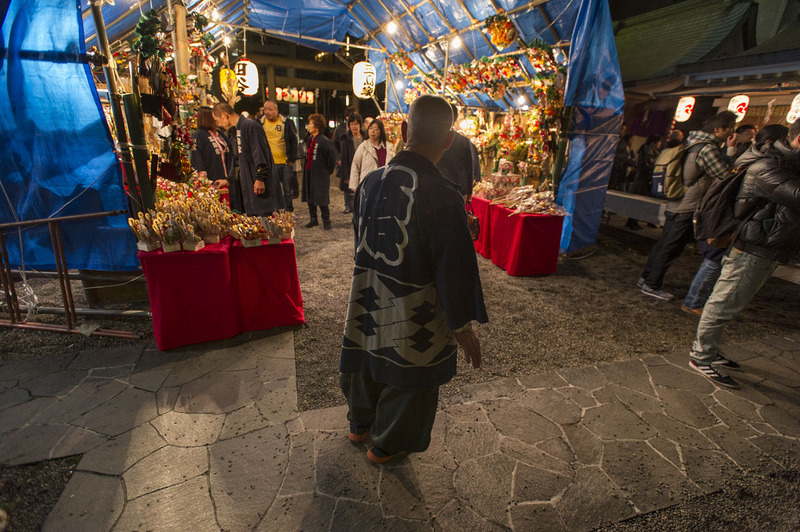 The Kamakura men lost track of the omikoshi in the pitch black darkness and finally gave up and started the long walk back to Kamakura. 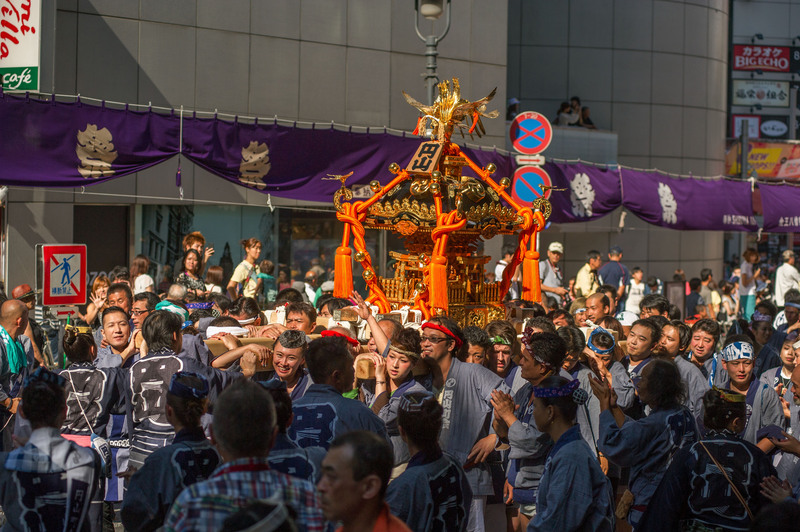 As the now sober Aoyama militia came charging through the gates of the Konnohachimangu it was decided by everyone involved that it was best to lay low for awhile and ever since then one of the seven Kamakura omikoshi has been residing in Shibuya. 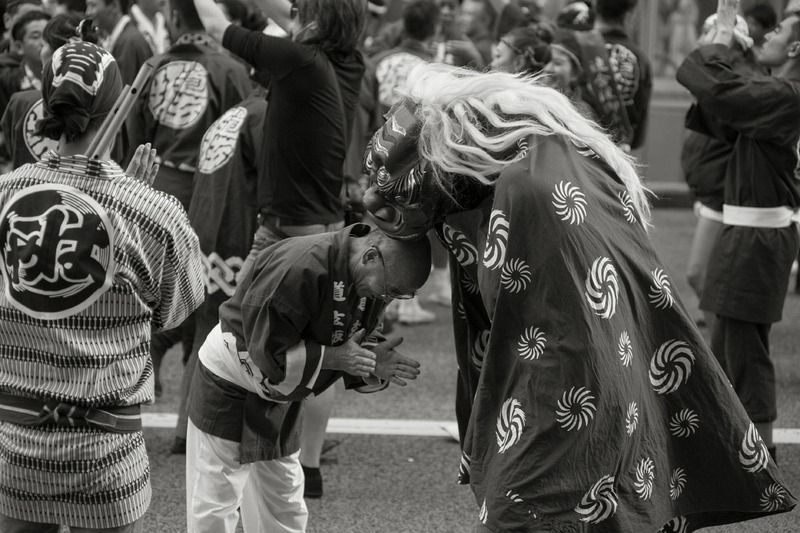 The omikoshi might have arrived in Shibuya at the early 17th century but it is actually much older than that, having been made during the Kamakura period (1185-1333), making it the oldest omikoshi in Tokyo by far. 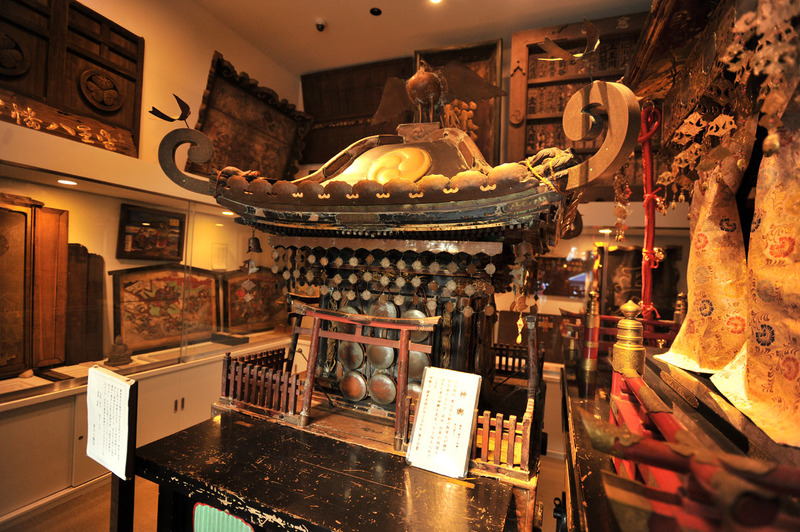 If you go to the shrine in Shibuya you can see it for yourself, this over 800 year old treasure “kidnapped” from Kamakura. I think this story should be made into a movie. It would be hilarious.